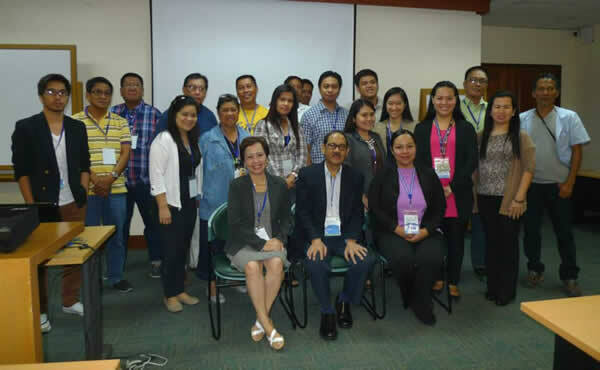 Capacity Building for Wetland Conservation – The Society for the Conservation of Philippine Wetlands, Inc. The project targets areas that are vulnerable to flooding and close to Metro Manila and where the Society for the Conservation of Philippine Wetlands, Inc. and the UPS had already done previous work. The specific cities and municipalities that were included in the project are the following: Angono, Lumban, Manila, Pasig City, Pateros, Pila, Tanay, San Mateo and San Pablo City. All of these lie within the Pasig-Marikina-Laguna Lake Complex with an approximate catchment area of 4,678 square kilometers. participatory and transparent methods of selecting the participating organizations. innovative learning tools, resources, methods and approaches that will enable local conservation organizations to raise funds, build strong local partnerships, and have a clear action plan on how to reach their goals. a combination of lectures, field exposure, mentoring sessions, sharing of experiences, practical application of learnings in real situations. involve five modules of three days each including a field visit to an organization and their project site.